Is it time for your scheduled maintenance in Rohnert Park? People need regular checkups at a doctor to make sure we’re healthy. The same goes for your vehicle! Regular maintenance like checking tire pressure, changing the oil, and scheduled inspections can keep your car performing its best and save you from expensive repairs down the road. For example, low tire pressure can lead to blowouts, which are extremely dangerous and require you to buy new tires. Save yourself this costly expense, and others, by keeping to a regular car maintenance service schedule. How do you know when your car needs scheduled maintenance in Rohnert Park? The first thing to do is check your owner’s manual. It will tell you about the type of oil and gas to use in your vehicle, how often the timing belt should be replaced, any filters that need to be regularly replaced, and more. If you aren’t sure what car maintenance service has been performed on your car, such as if you bought a previously owned automobile, bring your vehicle to RPM Automotive Services. Our experienced team is happy to inspect your vehicle and recommend necessary maintenance or repairs. Our ASE Certified auto technicians are knowledgeable about all types of vehicles, including models from Toyota, Honda, Ford, Chevrolet, Nissan, Cadillac, and more. For over 30 years drivers have relied on our auto repair shop for scheduled maintenance. 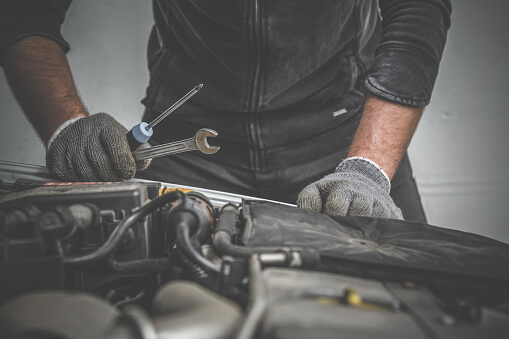 Regular service is the number one thing you can do to prolong the life of your vehicle, prevent costly breakdowns, and save money on car repairs. Car owners in the North Bay know they can trust our established facility for everything from tune-ups to engine rebuilds. If your vehicle is alerting you that it’s time for maintenance - like with the oil change symbol - or your owner’s manual recommends service at your current odometer reading, rely on the experts. Our highly trained team would be happy to help you with any maintenance or repairs.